The Cam and CJ Newton-owned and backed Fellaship, (www.fellashipatl.com) an exclusive restaurant and cigar establishment located in the historic Castleberry Hill neighborhood announced its grand opening festivities and lineup beginning this Friday evening. Events will continue through Saturday night and conclude Sunday with a viewing party hosted by Cam and other high-profile celebrities in town for Big Game festivities. The name “Fellaship” was developed by Cam and his family to reflect the many Sunday afternoons the Newton’s spent fellowshipping together, as well as a place for friends and family to gather and enjoy a good cigar, delicious cuisine and of course, good fellowship. Newton organized a group of all-stars to design and build Fellaship, including the world-acclaimed (and fellow Auburn alums) Meyer-Davis Architects and Gary Nix of Nix-Unger Construction, whose father coached baseball at Auburn. Adding to the all-star roster of alums on the project, MELT Chairman/Founder/CEO (www.meltatl.com) Vince Thompson, Auburn University Class of ’84, is joining forces with Newton to co-produce the events for the weekend alongside Tony Conway’s Legendary Events. 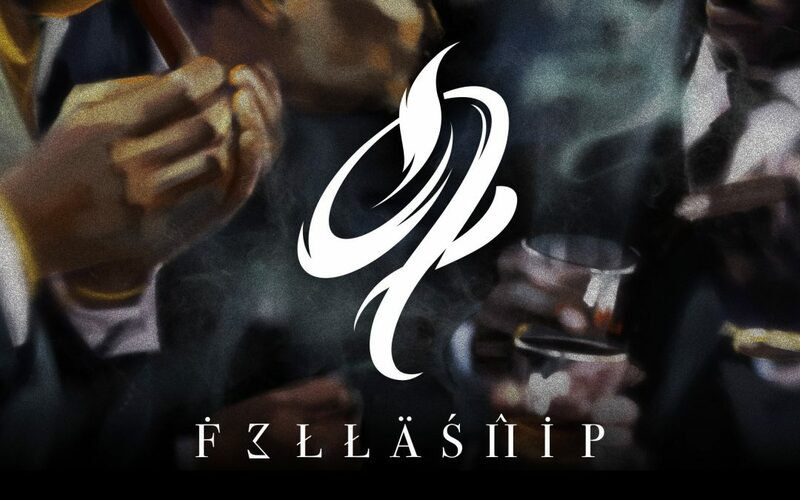 Once opening weekend festivities are concluded, Fellaship will become the ultimate cigar lounge and restaurant destination for pre-game, post-game and other exclusive opportunities throughout the year for guests in the downtown area. Weekend packages and single tickets can be purchased at www.fellashipatl.com. Tickets can also be converted to an annual membership. Friday, February 1- “The Art of Smoking”- featuring some of the finest artwork from Cam’s private collection, guests will be the first to indulge in Fellaship’s exquisite culinary offerings, spirits and hand-rolled cigars. Event hours are 6:30pm-2:00am EST. 110 Centennial Olympic Park Dr.
Saturday, February 2 – “Welcome to the 404”- celebrating an evening of sports, culture, fashion, food and music. The evening will feature the global introduction of 404 Vodka, backed by MLB Hall of Famer and Georgia native, Frank “The Big Hurt” Thomas. Event hours are 6:30pm-2:00am EST. 110 Centennial Olympic Park Dr.
Sunday, February 3 – “Best Seat in the House”- Cap off the weekend with an intimate viewing party of the Big Game in the shadow of the Mercedes- Benz Stadium. Event hours are 2:00pm- 12:00AM EST. 110 Centennial Olympic Park Dr.
Tickets can be purchased at www.fellashipatl.com/events. Congratulations MELT team! Best of luck with the opening! Congratulationd, hopefully I will be able to visit this establishment very soon.